Orthopedic Massage is a specialized form of manual treatment where not just one specific massage technique is used but it's a comprehensive system integrating many techniques into one session. Orthopedic Massage focuses on treating painful conditions that affect the soft tissue of the body. The therapist works with processes of assessment, bodywork treatment and rehabilitation. Assessment of the body relies on knowledge and evaluation of what dysfunction is occuring with each client. Knowledge of orthopedic conditions, how to test those conditions and if massage is indicated or contraindicated. Treatment with massage is all based on the condition presented during the assessment process. One technique may not be applicable, yet other techniques would decrease or eliminate the pathology of each condition. Each client will demonstrate a unique complaint with each condition. Therefore, the treatment will be customized to each client. The rehabilitation protocol can also be called home care. Each client is required to take responsibility for maintaining the work of the massage. Whether it includes ice, strengthening, stretching or continued programs given by physicians or physical therapy professionals. Each of these components are needed to treat the condition and ensure there is no reoccurrence of the injury. Orthopedic Massage enable the therapist to incorporate a wide range of massage techniques for a particular condition. 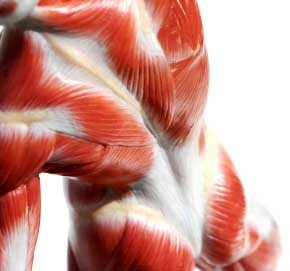 Knowledge of anatomy, physiology, pain, injuries, massage and treatment protocols are needed for effective treatment. Orthopedic Massage works to maintain the goal of improving the clients wellbeing. In addition to being a hard science, therapeutic massage is viewed as a healing art. It involves sensitivity of touch, insight, intuition and as a healing sense. There are components of compassion, concern, nurturing and connectedness all comprised within the healing touch. This promotes a positive, holistic change in the receiver. The effects of any or all of these things can be immediate and long lasting for the client. According to the American Massage Therapy Association (AMTA), massage therapy can be a valuable component of a wellness program. There is a growing importance of improving our health and preventing diseases which has been deemed "wellness". Wellness has been defined as a "multidimensional state of being describing the existence of positive health in and individual as exemplified by quality of life and sense of well-being"